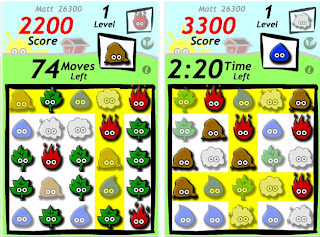 Eleminis is a game that is very similar to Rock, Paper, Scissors. 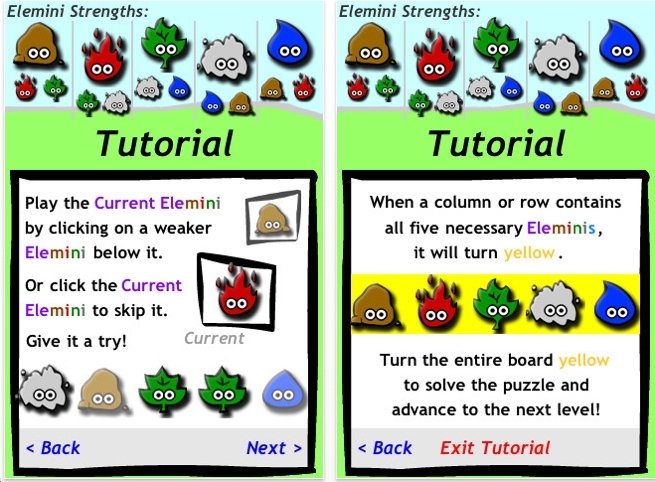 The difference: this game has 5 Elements. Look at the tutorial. You are given an element to play, one at a time. Swap it with something weaker. 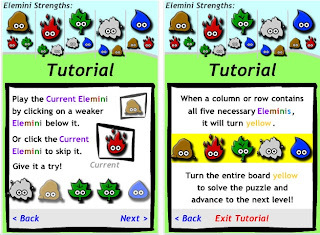 When you get all 5 elements in a row, that row will turn yellow. The object is to get the whole board to be yellow. This is a very interesting, great concept. The only problem is trying to memorize which element beats which. You can always click on the i icon for that chart. 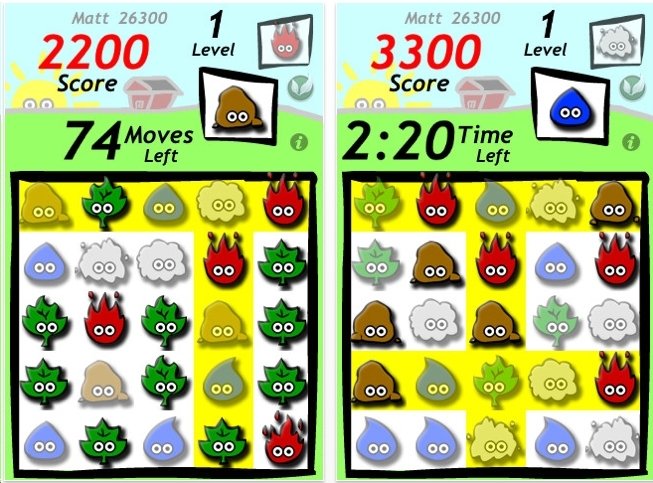 I found that to really play this game, you'd need another screen. Or copy the rules on some paper. There is a Lite version. Give it a try. Eleminis is better known as a card game.